millwork shop to achieve greatness. Check out the story of our evolution towards unique and complex millwork jobs. The best source for fine hardwood and softwood lumber, custom architectural mouldings, flooring, paneling and decking. Lewis Lumber Products is your source for fine hardwood and softwood mouldings and custom architectural millwork, flooring, paneling and decking. 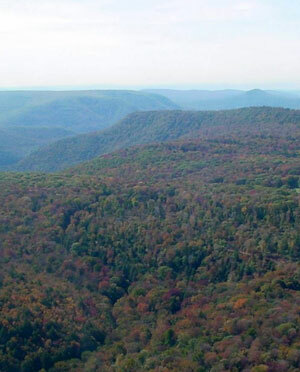 Located in Northcentral Pennsylvania, Lewis Lumber Products is situated in the center of the highest quality, temperate hardwood forests in the world. 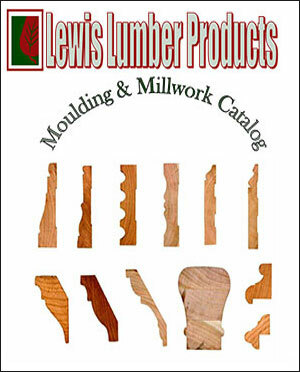 Lewis Lumber Products uses timber carefully harvested by our sister company, Dwight Lewis Lumber. We strive to use only sustainable forest resources that cause negligible disturbance to the environment. Download our Moulding Catalog for your choice of in-stock, easy-to-ship profiles in seven species of hardwood: Cherry, Hard Maple, Red Grandis, Ash, Hickory, Red Oak and Poplar. Lewis has more than 3,500 moulding profile knives in stock; we can custom match existing profiles, and are capable of duplication of any drawing and sample. We’re ready for fast turn around. Lewis Lumber Products, Inc. and Dwight Lewis Lumber Company are dedicated to the preservation and enrichment of the timberland environment. Our philosophy has always been forest stewardship because it is socially responsible, it is in our long-term best interest, and we all love the outdoors. With every timber cut, a plan is made by trained foresters to protect the watershed, ensure regeneration, and maintain or increase biodiversity. Our timber lands are certified and are part of the Chain of Custody Certification process for lumber on Pennsylvania State Forest Lands. 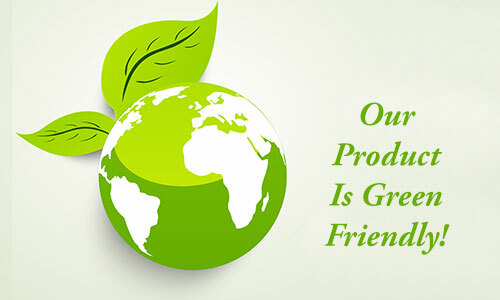 Lewis Lumber Products reduces its carbon footprint day-to-day by recycling plastic, paper and metal within three collection points within our company. Lewis Lumber Products reduces its natural gas consumption by more than 50% with its new high-efficient boiler system, replaced in 2006. Lewis Lumber Products utilizes 100% of its wood residues, which is used for animal bedding in local farms. Lewis Lumber Products has reduced its energy usage by changing to energy-efficient, high-ceiling lighting throughout its facility. Lewis Lumber Product continues to upgrade its trucking fleet and improving miles per gallon with new diesel efficiency fluid systems, which also cuts down on emissions. Domestic Species of Hardwoods and Softwoods are Sustainable, Renewable, and Carbon Neutral. That is far more environmentally friendly than steel, metal, glass, and stone. In fact, adding the life cycle analysis of trees, many wood products actually sequester carbon! 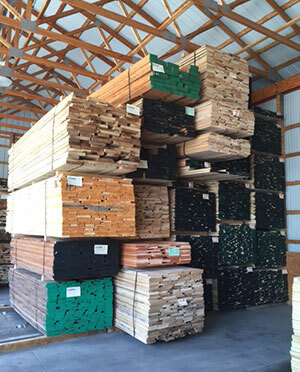 More than just a lumber company, Lewis Lumber Products is dedicated to providing the highest quality lumber products, including FSC® products to meet your needs. PFPA seeks to educate the public about the forest products industry. PFPA’s Timber Show, an Equipment and Technology Exposition, is held on a biennial basis at Penn State University to allow our members to showcase their products. KWPA strives to strengthen and expand the base of lumber and wood products manufacturers in the Central Pennsylvania region in order to maintain and enhance the industry’s competitive position. NHLA’s mission is to maintain order, structure and ethics in the changing global hardwood marketplace and promote the hardwood lumber by advocating the interest of the hardwood community in public and private policy issues. More than just a lumber company, Lewis Lumber Products is dedicated to providing the highest quality lumber products, including FSC® certified products to meet your needs.